Kayseria, being a designer brand,doesnot need any introduction. They played with the colors so beautifully, this time for their spring collection, that at first glance, I felt like I shall buy them all. 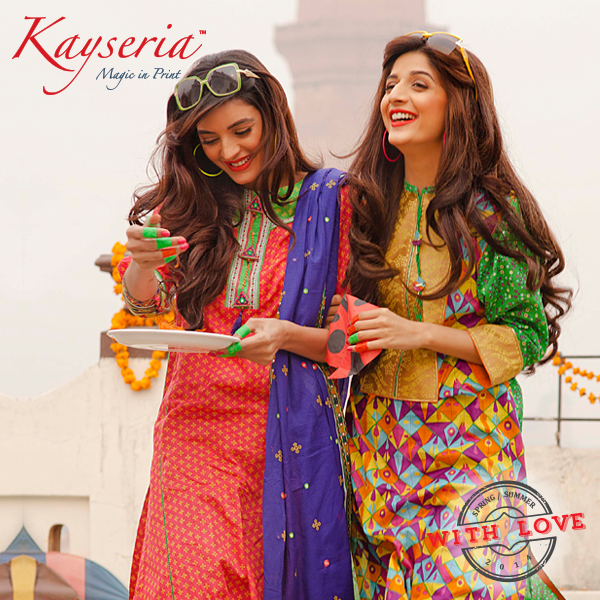 Mawra Hussain along with other models did a very beautiful yet different photoshoot for the spring collection. We can see the colors of springs in every single picture. And yeah, Mawra is carrying herself very nicely and Sadia is looking really different and beautiful in the shoot that I was unable to recognize her when I first came across this shoot.